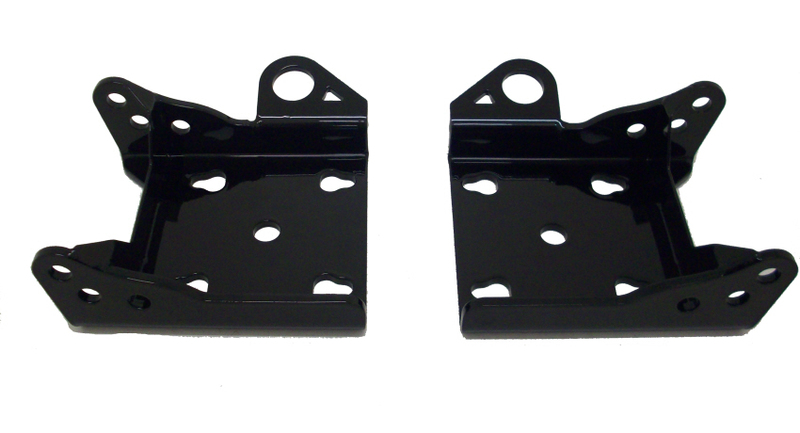 These New lower shock mounting plates allow the shocks to be mounted in the factory location, also can be used with our shock relocation kit to mount the shocks in the front of the rear end housing. They have built in Tie Down hooks and can be used with Mono or Multi-Leaf setups. Nickel Plated Finish standard.